Are you fun of drinking a healthy drink? Like smoothie? 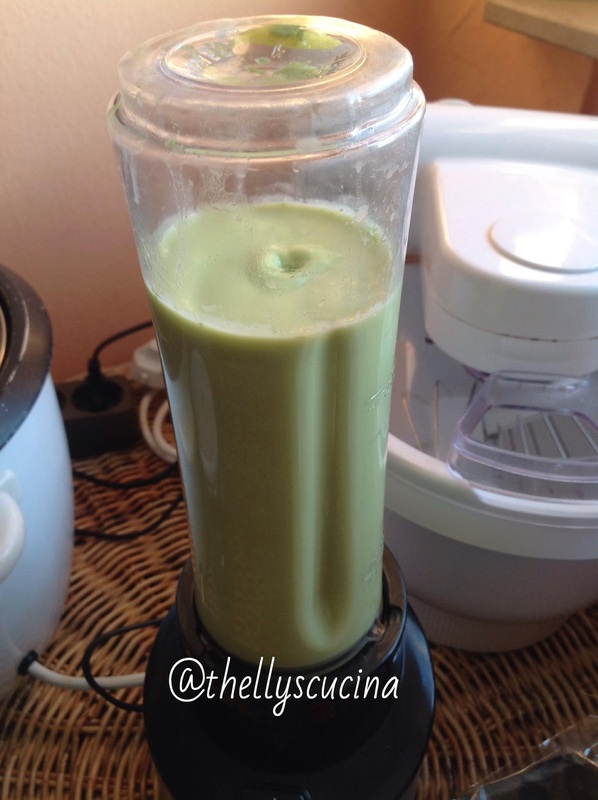 I am and whenever I crave for a glass of smoothie, I make my own. I don´t buy those ready-made smoothies from the supermarket as I know it is too sweet for me to drink. Whenever I make my own smoothie, I choose what fruits I will use and how sweet I can make it for my own taste. I mostly use honey as a sweetener and I love the sweetness of it in my smoothie. 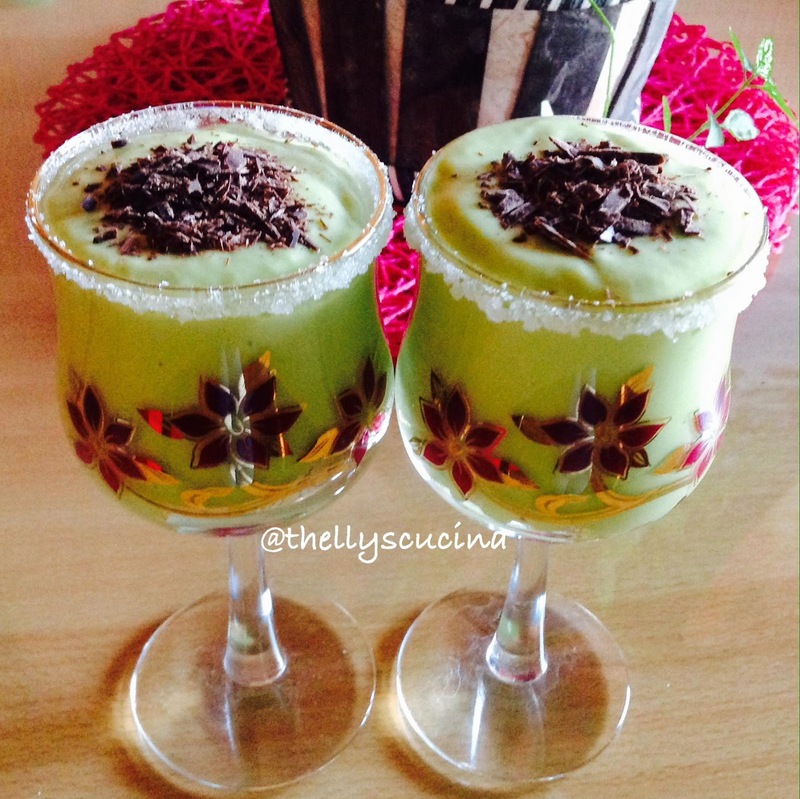 My ready to drink Avocado and Mango Smoothie. Avocado and mango are some of the fruits I use for fruit salad but are expensive here in my neck of the woods. Usually, these fruits cost more than 1 Euro a piece. I only buy them when they are in a bargain, like 0.99 cents. They were cheap and so I indulged myself again in this healthy drink. The ingredients in a smoothie maker. 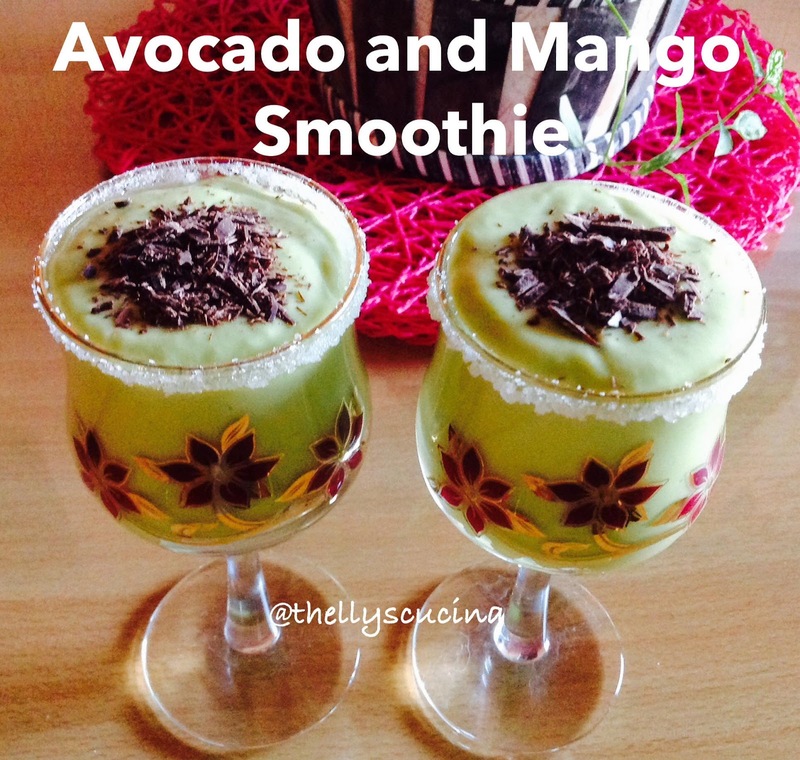 Avocado, Mango and Yogurt in a smoothie maker. Here is a link on how you can cut and slice the mango. That is the way I cut the mango before scraping the slices with a tablespoon. 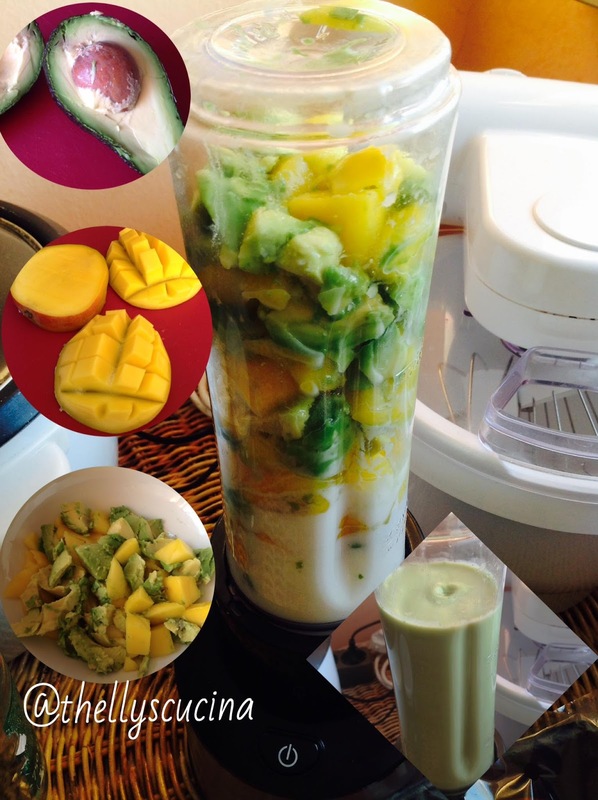 Blend the fruit slices in the smoothie maker or a blender together with the yogurt until smooth. Mix in the honey and blend for a second or 2. Put instant quacker oats (optional) in 2 smoothie or red wine glasses decorated with sugar. 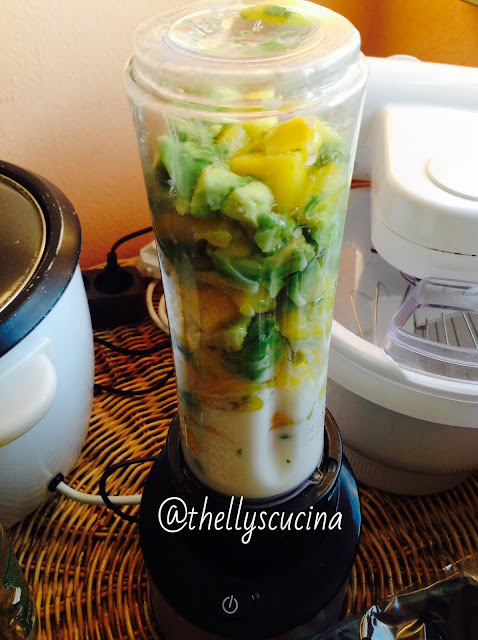 Then add the avocado and mango smoothie on it. Add a few chocolate shavings on top of the smoothie and serve. Voila! Enjoy your healthy smoothie. 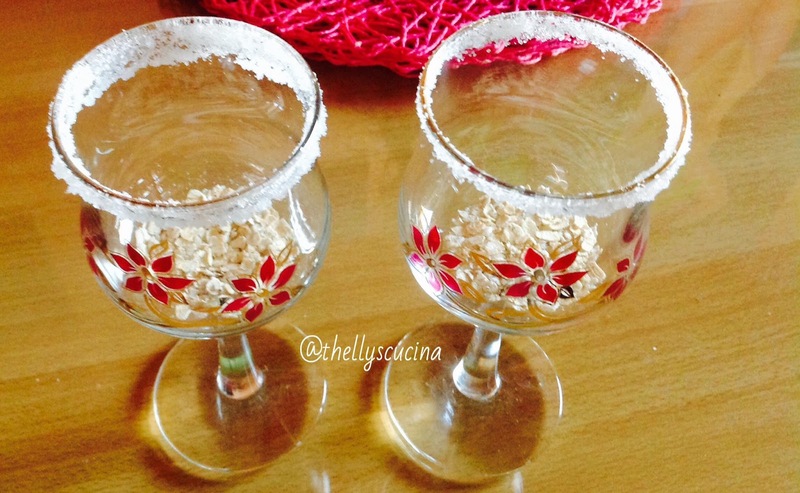 Red wine glasses with instant quacker oats decorated with sugar. How to decorate a glass with sugar? So simple. Just wet the mouth of your glass with water. 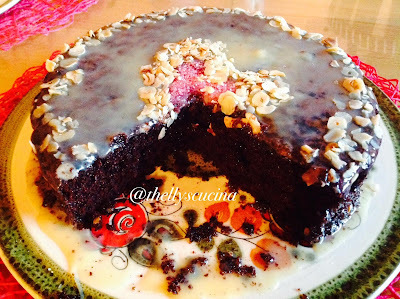 Then dig the wet mouth of the glass in a plate of sugar. The sugar will remain in the glass. Thank you very much Caz. You certainly have abundant cheap mangoes, avocadoes and other fruits in your place for making smoothies. Wow!! Thelma, this looks so refreshing. I will for sure try this one. Thanks! Thank you Sam. Tell me how you liked it when you have tried this smoothie. This looks amazing! added to my things to try this weekend! Thank you very much Scotts. I hope you will like it.